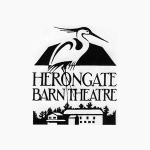 Join us for a wonderful evening at Herongate Barn Theatre on February 28! The event includes a sumptuous dinner with friends, new and old, and the hilarious production of ‘Beyond Therapy’, all held in a historic barn setting. 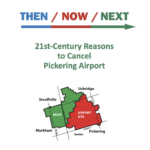 Today we released our latest research report, “THEN/NOW/NEXT: 21st-Century Reasons to Cancel Pickering Airport”. 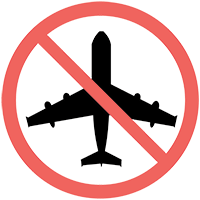 It is a fact-filled, up-to-the-minute, no-punches-pulled look at a dozen powerful reasons (some of them game changers) for ending four decades of limbo and putting the “airport site” to far wiser use. You are fighting one of the great campaigns in Ontario land-protection history and I wish you every success in stopping this mindless, unnecessary, and costly airport. – David Donnelly, M.E.S., LL.B. Please give us your support! I challenge anyone to take a drive along the side roads of North Pickering. I am sure you will feel the same outrage that I do.